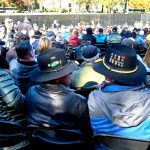 Veterans Day 2018 at the Vietnam Memorial, Washington, DC. 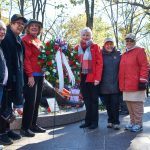 | Veterans Oral History Project Veterans Day 2018 at the Vietnam Memorial, Washington, DC. 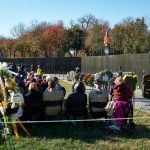 Veterans Day 2018 at the Vietnam Memorial, Washington, DC. 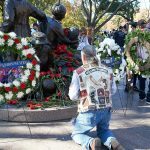 This entry was posted in events, Uncategorized, Veteran portraits by Administrator. Bookmark the permalink.